July 1oth, 1942 – May 16th, 2010. 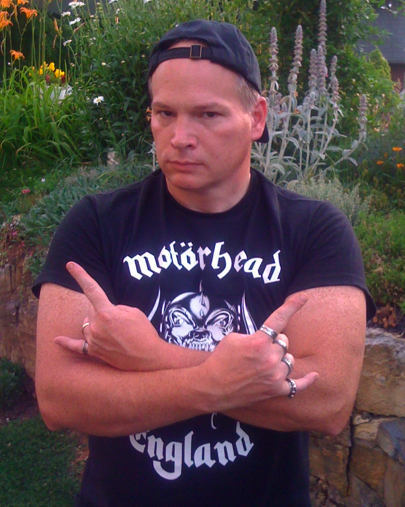 Forever In Our Metal Hearts. 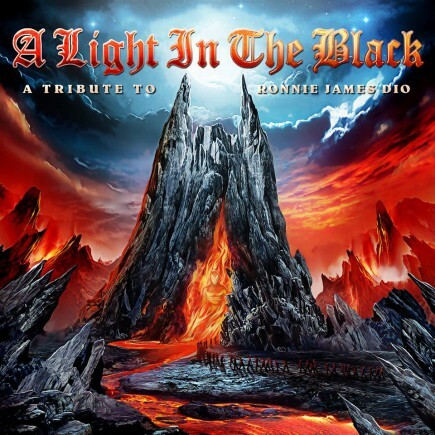 “A Light In The Black – A Tribute To Ronnie James Dio” 2 CD Releases On May 22nd, via Massacre Records! 2 CDs. 12 bands. 20 songs. 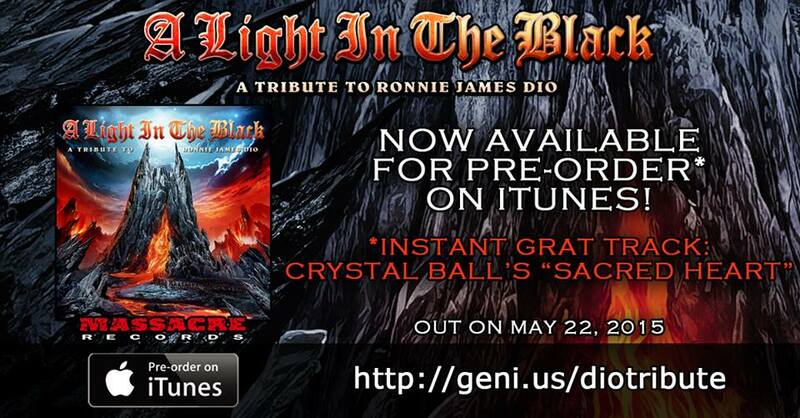 “A Light In The Black – A Tribute To Ronnie James Dio out on May 22nd via MASSACRE RECORDS! * Every pre-order includes the instant grat track “Sacred Heart” by Crystal Ball! This email is in response to those of you who have been asking for information about the events on May 15, 16, and 17, to honor the 5th Anniversary of the passing of Ronnie James Dio. Myself and members of Hellion will be performing at the free Memorial at Forest Lawn on May 16th, and also at the charity fundraiser BBQ on May 17th. Please note that Hellion will not be performing as a band for these two events, but that individual members are performing. There is plenty of seating outside on May 16th at Forest Lawn. There is limited seating inside the auditorium at Forrest Lawn. 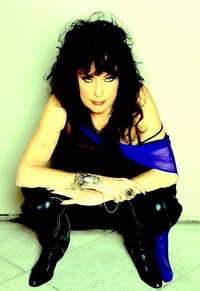 If you would like to sit inside you will need to request tickets at info@diocancerfund.org. I don’t know if there are any tickets left for the auditorium. But, if you are interested in sitting inside you will need to contact the Dio Cancer Fund directly. (If you can’t get tickets for the auditorium, you can watch the concert on the lawn). For more information about these events, please go to the Dio Charity Fund’s website. 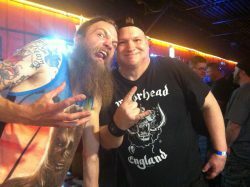 LONG LIVE ANN BOLEYN & HELLION. 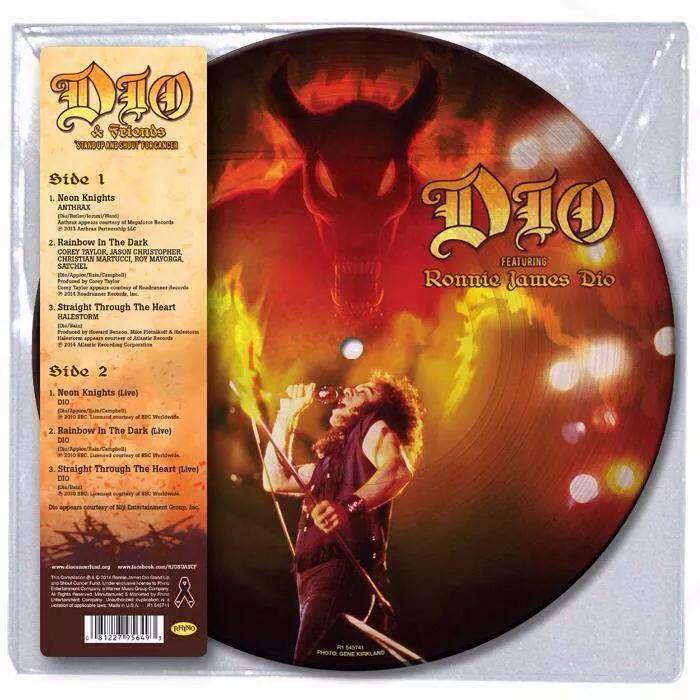 DIO & FRIENDS “Stand Up And Shout” For Cancer – Picture Disc Made Available On Black Friday; Only 5,000 Copies, Worldwide! Only 5,000 of these AMAZING Picture Discs were made available WORLDWIDE on Record Store Day Black Friday! 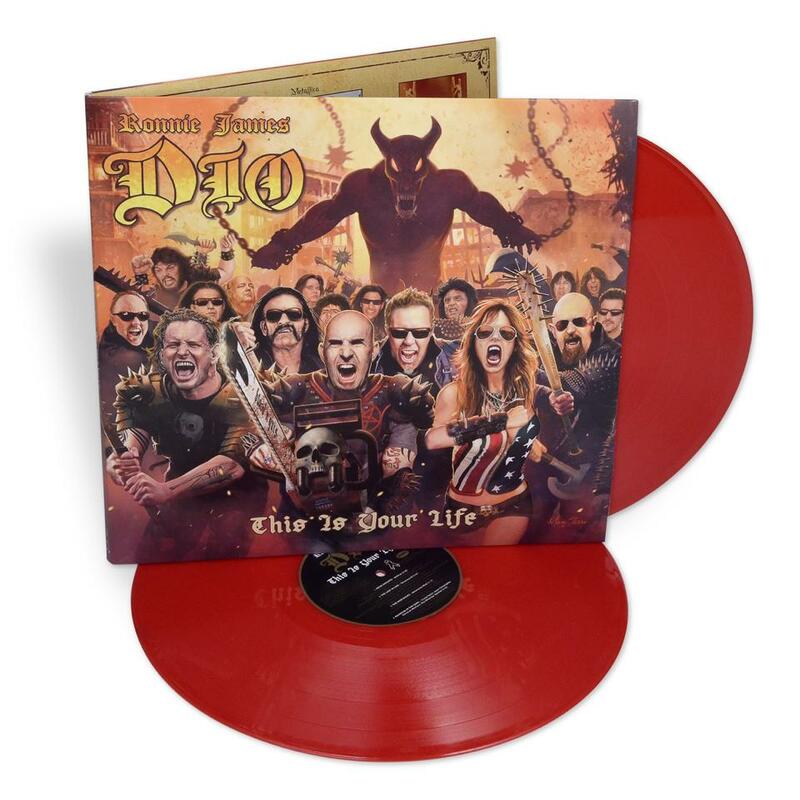 Side A features “Neon Knights”- Anthrax, “Rainbow In The Dark”- Corey Taylor, Roy Mayorga, Jason Christopher, Christian Martucci and Satchel and “Straight Through The Heart”- Halestorm!!! 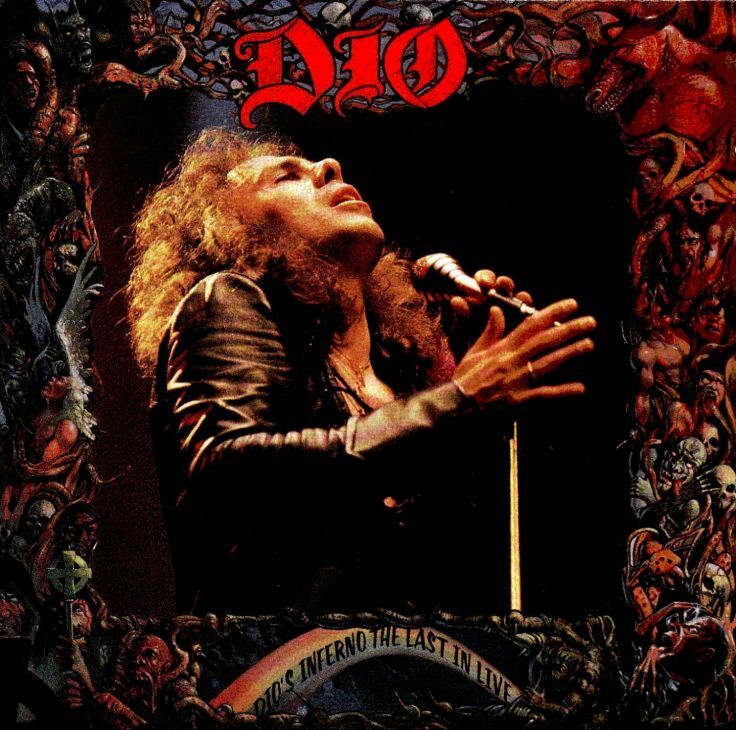 Side B features “Neon Knights (Live)”- Dio, “Rainbow In The Dark (Live)”- Dio and “Straight Through The Heart (Live)”- Dio!!! LONG LIVE THE LEGACY OF RONNIE JAMES DIO.